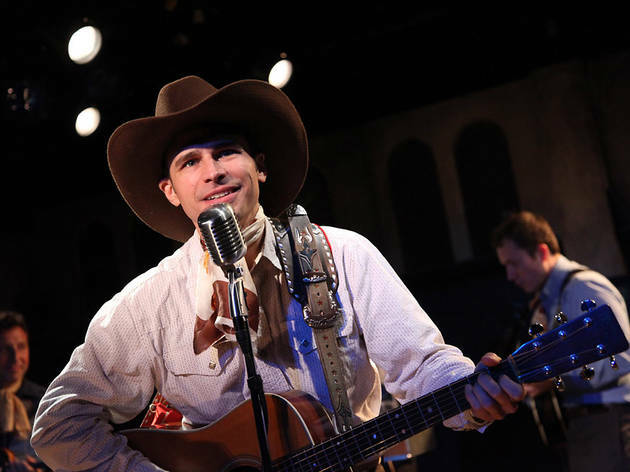 American Blues Theater has announced new productions of Steven Dietz's play Yankee Tavern and Warren Leight's Tony-winning Side Man for 2015. Dietz's Yankee Tavern, a comic thriller involving 9/11 conspiracy theorists, has been widely produced since its 2009 debut. Joanie Schultz will direct ABT's production for a February 20–March 22, 2015 run. Jonathan Berry will helm Side Man, a jazz-tinged memory play, to run April 24–May 24, 2015. The two plays round out a season that includes three previously announced productions: a remount of last fall's Hank Williams: Lost Highway, July 25–August 31; Nambi E. Kelley's new adaptation of Richard Wright's Native Son, a fall co-production at Court Theatre with dates to be determined; and the perennial radio-play staging of It's a Wonderful Life, November 21-December 28. 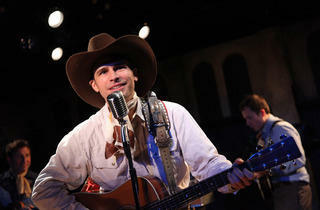 All but Native Son will be staged at the Greenhouse Theater Center. American Blues Theater joins Northlight Theatre among this year's earliest season announcements. Northlight last week revealed plans for four of the five slots in its 2014–15 season, including the first regional production of The Commons of Pensacola, the recent playwriting debut of actress Amanda Peet (September 12–October 19); a new production of Agatha Christie's The Mousetrap (November 7–December 14); a premiere by playwright Bruce Graham titled The White Guy on the Bus (January 23–March 1, 2015); and the new musical Shining Lives, adapted by Jessica Thebus, Andre Pluess and Amanda Dehnert from Melanie Marnich's play These Shining Lives (May 8–June 14, 2015).